Phachara Suites Sukhumvit is a four and half star hotel on Sukhumvit Soi 6 that’s close to the nightlife on Soi 4 and less than five minutes away from Nana BTS station. 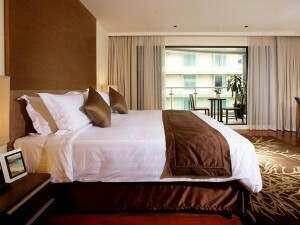 Rooms are spacious and very comfortable, with lots of sunlight and great decorating. The hotel swimming pool is surrounded by deckchairs and cabanas, making it a nice place to relax with a drink and book during the day. Competitively priced for a hotel of its quality.